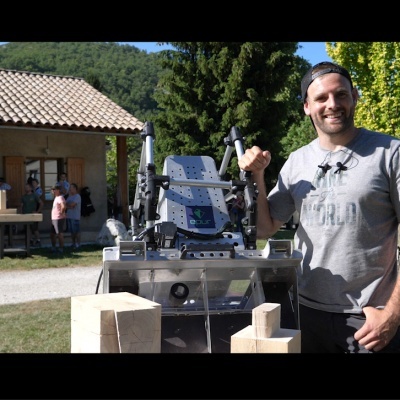 OAKBOT: The world's first portable digital milling machine for traditional woodwork and wood construction. 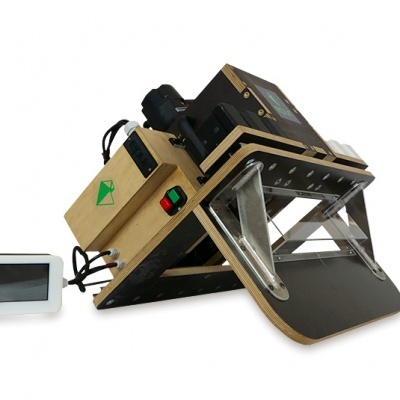 OAKBOT, the world's first portable digital milling machine. 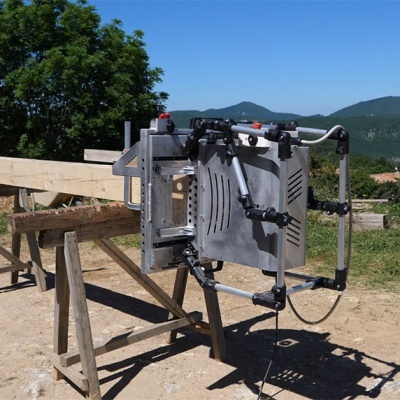 OAKBOT makes it possible to realize a large set of assembly geometries. Entry of instructions simplified thanks to a color touch screen. 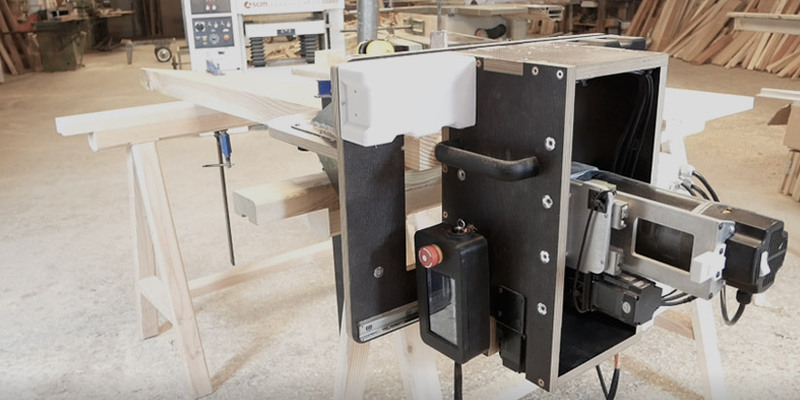 Compared to conventional machines (mortising machines, circular saws, chainsaws), the machine, once attached to the workpiece, no longer requires human intervention until the end of its work cycle. 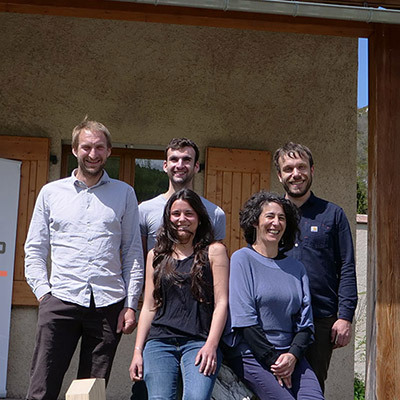 2 carpenters (but not only ...) find that there is a reliable tool, other than the hand, which makes it possible to manufacture complex assemblies of framework, with simplicity. 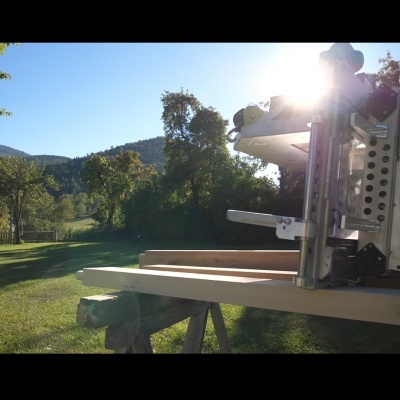 Our idea: to manufacture the first portable, numerically controlled framing milling machine. 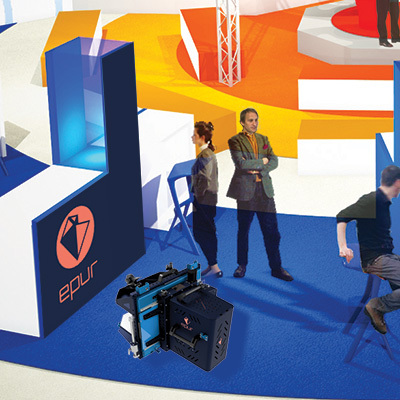 EPUR aims to develop and commercialize innovative tools in the building sector. Our company is resolutely turned towards innovation and we have invested and will invest a lot of financial and human resources towards Research and Development. The color touch screen allows easy intuitive access for assembly configuration. A robot that cuts along 3 axes, guaranteeing precision and machining quality equivalent to the best stationary digital machines. Gain added value by multiplying your production capacity: faster than the hand, cheaper than outsourcing or a stationary machine. We want to bring professional power tools into the digital world. Over time, the woodworkers have been perfecting their techniques and tools ... As carpenters, the maintenance of our know-how depends on our ability to renew our practices in a changing world. In the world of "everything disposable", we refuse planned obsolescence, we build machines made to last. We do it in the world respect for our employees, through the social and managerial policies of our company.